Outstanding in every respect, the unique pleasures of Lizard Island have created an idyllic retreat second to none. Australia’s northernmost resort, Lizard is located right on the spectacular Great Barrier Reef, fringed with colourful coral reefs and 24 powdery white beaches. It is little wonder that this tranquil escape has won a host of prestigious national and international awards for excellence. Lizard truly is one of a kind. Snorkellers are rewarded for little effort with coral gardens, brightly coloured tropical fish and giant clams just moments from the island’s beaches. Discover secluded, pristine beaches by foot or by motorised dinghy with a gourmet picnic just for two. Fishing enthusiasts can charter the “Fascination” for a day of exhilarating game fishing. Try bushwalking, sailing, a glass bottom boat trip, or perhaps indulge in the serenity and relaxation of a pampering treatment at the luxurious Azure Spa. Each of the 40 villas on Voyages Lizard Island is elegant and spacious, with either ocean or beach views. All meals and many island activities are included. Set in a broad sweeping arc along Anchor Bay, with easy access to the main lodge, Anchor Bay Suites offer captivating sea views and each has a pathway leading directly to the beach. Seamlessly blending indoors and out in an elegant and spacious open plan design, a large verandah with daybed is one of the many designer comforts. Sunset Point Villas are set high on Sunset Ridge amongst native eucalyptus bushland. Providing filtered sea views over Anchor Bay or Sunset Beach, these villas offer privacy and easy access to a string of secluded beaches. Each villa has a private deck with comfortable Australian timber squatter chairs and a hammock. Inside, the mix of colours and textures creates a calm retreat with the surrounding coastal bushland the inspiration for the understated and elegant design. Located in a tropical garden setting with easy access to Anchor Bay and the beach, Anchor Bay Rooms have a private balcony with hammock. Interiors are compact but comfortable. Family rooms offer two separate sleeping areas. Perched high above the Coral Sea and set on the point of Sunset Ridge, The Pavilion combines complete privacy with a spectacular 270 degree panorama of Anchor Bay, Osprey Island and Sunset Beach. The large outdoor deck area incorporates a private plunge pool, sun lounges and a daybed area, inviting guests to relax and take in the stunning views. Inside, the Pavilion offers every comfort. Bollinger and a deluxe fruit bowl greet guests on arrival. A laptop computer for downloading and sending emails and high powered binoculars are among some of the special features. Bushwalking Self guided and guided island walks and nature trails. Hiking. Scuba-Diving Diving trips to the inner or outer reef, dive instruction (limited) and gear hire, night diving available at an extra cost. Flora Island flora and fauna slide shows. Learning/Lessons/Tuition Reef interpretation and island flora and fauna slide shows. Meditating/Relaxing The Azur Spa reflects the ancient and the now. Treatments, remedies and secrets from around the world carefully chosen to present to you total harmony between health, beauty and nature. Your chosen indulgence will include refreshment and an ambience to reflect the culture of its origin. Sailing Complimentary use of catamarans. Snorkelling Complimentary equipment and lessons available. Snorkelling trips to the inner or outer reef available at an extra cost. Water-based Use of paddle skis, sailboards, dinghies with outboard motors available free of charge. Bar The resort’s relaxed lounge is open all day. It is comprehensively stocked with a quality selection of Australian wines, spirits and liqueurs, champagnes and Australian and imported beers. Office Services/Business Services Facsimile facilities, internet access, postal service. Conference/Convention Facilities Lizard Island offers a unique destination for incentives, groups of up to six rooms and sole use bookings. Games/Recreation Room The Pavilion overlooks the pool and contains the Pavilion Spa offering a range of massages, facials and other body treatments. A small gymnasium and guest/departure lounge with television, video and internet access is also included in the Pavilion. Laundry Daily laundry service except dry cleaning. Medical Facilities First Aid Clinic. Foreign Currency Exchange Limited foreign exchange and travellers cheque facilities. Swimming Pool Outdoor Freshwater swimming pool. Tennis Court – Full Size Floodlit court. TV/Lounge Area Television in Guest Departure Lounge and Lodge. Internet access also available. 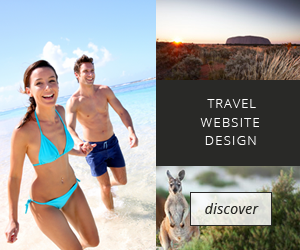 Australian Travellers Cheque Limited travellers cheques facilities. Foreign Travellers Cheques Limited foreign exchange and travellers cheques facilities. Discover some of the other accommodation nearby in Lizard Island.